It was a disappointing matchday 4 for newly promoted VfB Stuttgart. Defeated 2-0 away from home by Borussia Mönchengladbach der VfB is somewhat in the shadow of fellow promoted side Hannover 96, who after five games are still unbeaten, these days. At the same time 12th place, Stuttgart have shown that they can compete in this league and with Santiago Ascacíbar they may have secured a potential Bundesliga star. 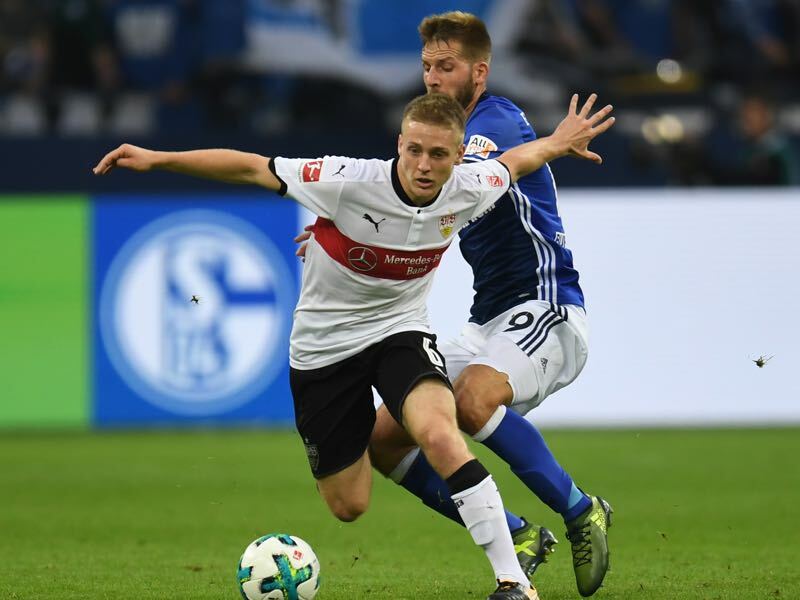 Initially considered a project for the future Ascacíbar has quickly established himself in Stuttgart’s midfield. In fact, the 167cm tall Argentine midfielder has quickly become one of the key players in Hannes Wolf’s 3-5-2 system. Speaking on the latest Gegenpressing Podcast, Jon Mackenzie has rightfully pointed out a shift in the Bundesliga away from 4-2-3-1 towards 3-5-2 and 4-2-2-2. Both systems acquire holding midfielders with a high work rate and creative input. RB Leipzig’s recent clash against Borussia Mönchengladbach was a perfect example for this. Both Leipzig, with Naby Keïta, and Gladbach with Denis Zakaria utilise midfielders that through their work rate can dictate the tempo of their respective teams. Both players are both creative and destructive. They can destroy the opposition’s build-up play and at the same time organise their midfield. It is a phenomenon not exclusive to the Bundesliga. 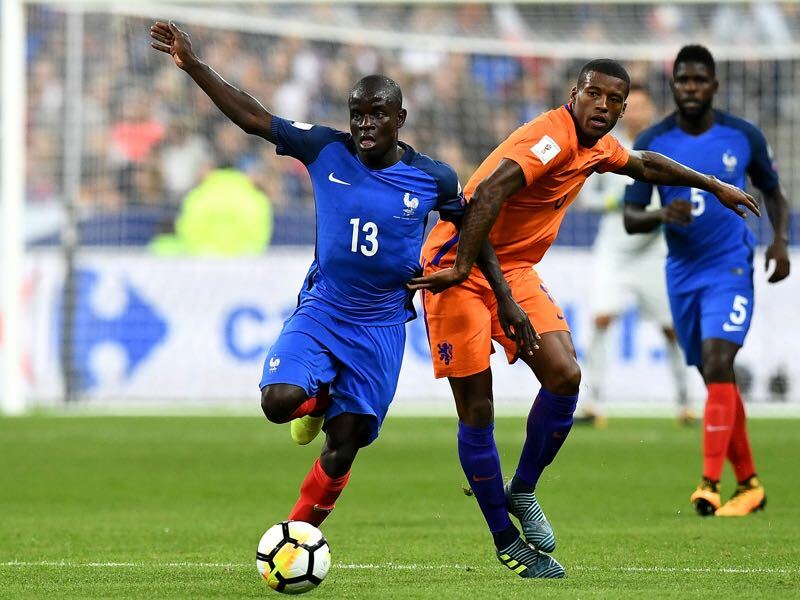 N’Golo Kanté played a similar role for Leicester and Chelsea in the last two seasons. Both teams won the title, and Kanté became the synonym for success. A midfielder of his type is two players in one allowing clubs to go with two midfielders in the centre of the park rather than three. New VfB Stuttgart sporting director Michael Reschke and head coach Hannes Wolf were also aware of this phenomenon. Leipzig’s Naby Keïta, for example, was key to the club turning heads surprising many by reaching the UEFA Champions League in the club’s first Bundesliga season. Reschke freshly signed from Bayern München realised quickly that Stuttgart needed a player like Keïta if they wanted to be successful in the Bundesliga right away. Well connected in South America Reschke has made a name for himself at Bayer Leverkusen for identifying and signing some of South America’s biggest talent. During his time at Bayern, his ability to identify South Americans and bring them to Europe was somewhat stifled by a club, which no longer wanted to be prominent in the South American market. Unlike Bayern Stuttgart, however, cannot focus on buying finished players on the European market. Hence, Reschke used his South America contacts to land Santiago Ascacíbar from Estudiantes de La Plata for just €5.95 million (the deal could grow to about €7.2 million with bonuses). It is a fantastic deal for a player, who will likely be worth tenfold in just a few years. Rightly identified by Jon Mackenzie in his Gladbach vs Stuttgart Futbolgrad Network as the player to watch Santiago Ascacíbar was fantastic. The Argentine later received a 2.5 grade by kicker—with 1 is the best 6 the worst. What stood out in the match was his work rate and his pass accuracy. Playing 40 passes Santiago Ascacíbar had a pass accuracy of 87% and won 13 out of his 17 duels. He had similar numbers on matchday 4 when Stuttgart beat VfL Wolfsburg. In that game, he played 37 passes with a pass accuracy of 84.1% and won 10 out of his 14 duels. On both matchdays, he was also among the players with the most covered distance. Running 12.5km on matchday 4 (second best in the league) and 12.6km (eighth best in the league) on matchday 5 Ascacíbar has already established himself as one of the most active players in the league. Those a remarkable numbers for the 20-year-old Argentine, who has taken little to no time to adjust to his new surroundings. But it is not just the work rate that is impressive. Ascacíbar also brings flare to Stuttgart’s game. His movement on and off the ball has an elegance that one would not associate with a workhorse like Santiago Ascacíbar. It is another parallel to midfielders like Keïta, who can both create and destroy.